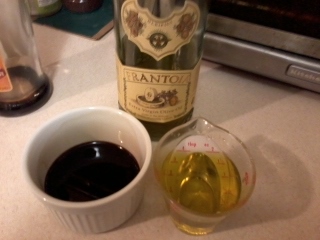 With my wife away this weekend on a roadtrip, I decide to add some ‘new’ dishes to my repetoire. 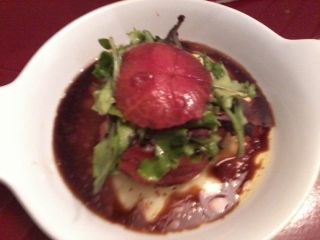 Recalling how much I enjoyed the meal at the Ritz Carlton, SF, I decided to try a recipe from Chef Ron Siegel. If my memory serves me right (with apologies to Chairman Kaga), Thomas Keller (Chef Ron Siegel’s former boss), liked a ‘simple salad’ and roast chicken (see http://www.lafemmeepicure.com/2010/04/thomas-kellers-favorite-dinner.html). 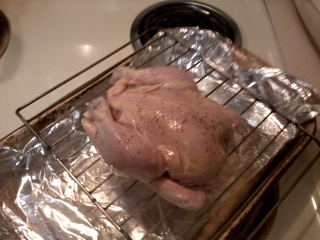 With that in mind, decided to make Chef Siegel’s Tomato Salad and a roast cornish game hen. 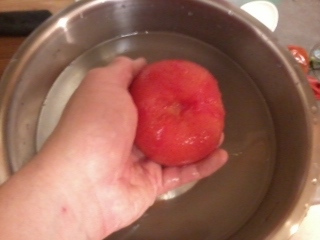 I know the reduced recipe basically called for 1 lb of tomatoes/person, but as I guessed correctly, a single 1/2 lb tomato sufficed. 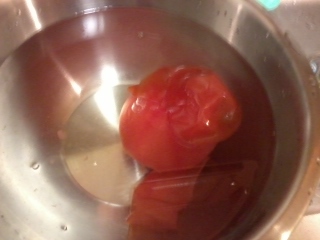 So, as per the recipe, I began by x’ing the bottom of the tomato, then dropping it into boiling water for about 30 seconds to a minute and then shocked it in ice cold water to remove the skin. 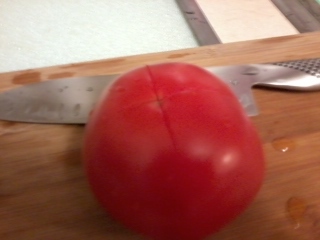 Once I got the peel off, I ‘cored’ it by removing the stem area. 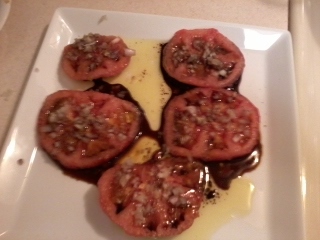 and then spooned the vinaigrette over the slices, scattered the minced shallots over the tomato slices and seasoned them with 2 (3 finger) pinches of 4:1 salt/pepper mix (about 1/2 teaspoon). 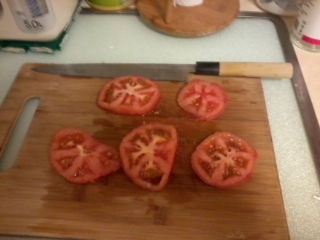 I let the tomato slices sit for about 30 minutes. 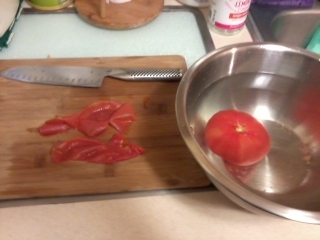 Once that was done, I ‘re-constructed’ the tomato’s shape using the top of the tomato as the base (saving the x’d tomato slice as the ‘cap’ of the tomato) and used the vinaigrette used to marinate the tomato slices to toss a handful of mixed greens. 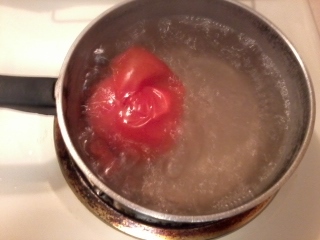 I carefully tried to place the greens on top of the tomato ‘stack’ and covered it with the tomato ‘cap. 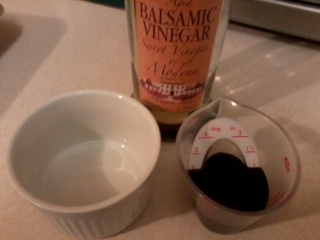 I finished the plating by spooning a little more of the vinaigrette over the top. 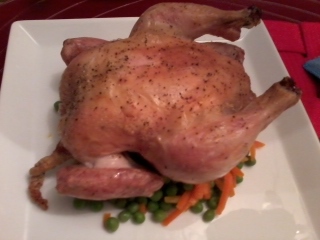 I blanched a 2 handfuls of peas and carrots to plate beneath the cornish game hen. As soon as the hen was done I plated the blanched vegetables onto a square plate and place the crispy skin roasted hen on top. 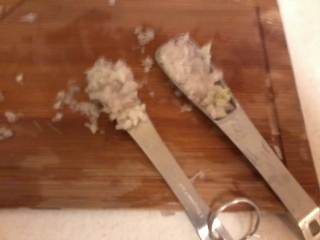 This entry was posted on July 11, 2011, 11:46 am and is filed under HomeCooking, RonSiegel At Home. You can follow any responses to this entry through RSS 2.0. You can leave a response, or trackback from your own site.